You understand and acknowledge that the content of this website is for general information purposes only, and does not replace the medical advice afforded by physicians, therapists or other healthcare professionals. By accessing this website, you indicate your agreement to release and forever discharge and hold harmless ASHA International, its directors, officers, employees, agents, volunteers, assigns, and successors from any and all liability, claims, and demands of any kind, either in law or in equity, which may arise from or in connection with Recipient’s use and/or distribution of any content or materials provided by ASHA International. You may link to any content on this website. If you are interested in reprinting, republishing or distributing content from ASHA International, please contact ASHA International to obtain written consent. As between you and ASHA International (unless otherwise provided in these Terms and excluding any User Content you submit) ASHA International or its licensors own all content on this website including, without limitation, all videos, text, graphics, user interfaces, visual interfaces, photographs, moving images, illustrations, files, trademarks, logos, service marks, artwork, computer code, design, structure, selection, coordination, “look and feel” and arrangement of such content. This content is protected by copyright, trademark, trade dress, moral rights or other intellectual-property regimes. ASHA International encourages you and other users to contribute content to this website including, without limitation, videos and textual narratives that share your stories of hope with people living with mental illness and associated comments thereto (“User Content”). When you view User Content and comments submitted by other users, keep in mind that such User Content may not necessarily represent your own view or the view of ASHA International. While ASHA International encourages User Content that is supportive and helpful, through your use of the Services, you may be exposed to User Content that you may find offensive, objectionable, harmful, inaccurate or deceptive. You assume all associated risks. You understand that when you submit User Content, you are granting ASHA International a license to display the User Content in connection with the Services or otherwise as set forth in these Terms, and, whether or not your User Content is published on the website, ASHA International guarantees no confidentiality or anonymity with respect to your User Content. While you don’t have to include your name, your likeness, or any other specific information in the User Content you submit, if your video or other User Content conveys your name, your likeness, (or other identifying information in the background of your video) you understand and agree that this information may be displayed on the ASHA International website along with your User Content. Accordingly, please review your User Content carefully prior to submission to ensure it contains no information that you are not comfortable sharing. If your User Content is a video, you can disable access to that User Content by deleting it from your YouTube account. If your User Content is a textual narrative or other form of User Content, you can disable access to that User Content by contacting ASHA International via email at [email address] with a written request to disable access to your User Content, including sufficient details in your request for ASHA International to identify and disable such User Content. ASHA International reserves the right to monitor User Content and to remove or decline to post any User Content at any time, for any reason (or for no reason), without notice and at its sole discretion, including, without limitation, if it determines that User Content is inappropriate or fails to comply with these Terms. ASHA International has no responsibility for the backup of any of any User Content or any lost data resulting from the use, operation or discontinuation of any aspect of the Services. Unless specifically requested, ASHA International does not wish to receive any confidential, proprietary, or trade secret information from you via the website (including via contact email made available on the website). Accordingly, if you send ASHA International any information or creative works including, without limitation, idea submissions, suggestions, business plans, concepts or demos in any media including photographs, graphics, audiovisual media or other material (“Submitted Material”) you grant ASHA International a royalty-free, unrestricted, worldwide, perpetual, irrevocable, non-exclusive, and fully transferrable, assignable, and sub-licensable right and license to use, copy, reproduce, modify, adapt, print, publish, translate, create derivative works from, create collective works from, and distribute, perform, display, license and sublicense (through multiple levels) the Submitted Material in any media now known or hereinafter invented, including for commercial purposes. If you send ASHA International any Submitted Material you also warrant that the Submitted Material is not confidential or secret and that the Submitted Material is owned entirely by you. If you send ASHA International any Submitted Material you warrant that you have all rights necessary (including rights of privacy and rights of publicity) to authorize ASHA International to use Submitted Material as permitted by the license in this Section. You agree to defend, indemnify, and hold harmless ASHA International, its officers, directors, employees, affiliates and agents from and against any claims, losses, damages, fines, penalties or other liabilities in any way associated with: (i) your use of and access to the Services; (ii) your violation of any of these Terms; and (iii) your violation of any third party right including any copyright, trademark, trade secret, or privacy right related to your User Content (as applicable) or use of the website. ASHA International MAKES NO REPRESENTATION AS TO THE COMPLETENESS, ACCURACY OR CURRENCY OF ANY INFORMATION ON THIS WEBSITE. 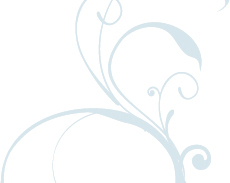 THE CONTENT AND INFORMATION FOUND ON THIS WEBSITE ARE PROVIDED “AS IS,” WITHOUT WARRANTY OF ANY KIND, EITHER EXPRESS OR IMPLIED, INCLUDING WITHOUT LIMITATION, ANY WARRANTY FOR INFORMATION OR SERVICES PROVIDED THROUGH OR IN CONNECTION WITH THIS WEBSITE AND ANY IMPLIED WARRANTIES OF MERCHANTABILITY, FITNESS FOR A PARTICULAR PURPOSE, EXPECTATIONS OF PRIVACY OR NON-INFRINGEMENT. ASHA International DOES NOT WARRANT THAT THE SERVICES WILL BE UNINTERRUPTED OR ERROR-FREE, THAT DEFECTS WILL BE CORRECTED, OR THAT THIS WEBSITE OR THE SERVER THAT MAKES IT AVAILABLE ARE FREE OF VIRUSES OR OTHER HARMFUL COMPONENTS. APPLICABLE LAW MAY NOT ALLOW THE EXCLUSION OF IMPLIED WARRANTIES, SO THE ABOVE EXCLUSION MAY NOT APPLY TO YOU. 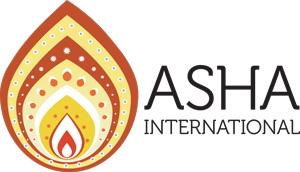 If you have a dispute with one or more users, you release ASHA International (and its officers, directors, affiliates, agents, subsidiaries, joint ventures and employees) from claims, demands and damages (actual and consequential) of every kind and nature, known and unknown, arising out of or in any way connected with such disputes. While ASHA International considers all such notices seriously, you may be liable for damages (including costs and attorneys’ fees) if you materially misrepresent that content or activity is infringing. Accordingly, if you are uncertain whether material infringes your copyrights (including whether use of copyrighted material may constitute fair use) you may wish to seek the advice of an attorney. If you have questions about these Terms or the Services, you may contact ASHA International at [info@myasha.org].